The Krone edge, round edge and strong edge net wrap products stand out for their superior quality and ability to adapt to current crop conditions. Extra strong and highly resistant to tearing. Left to right roll markings. 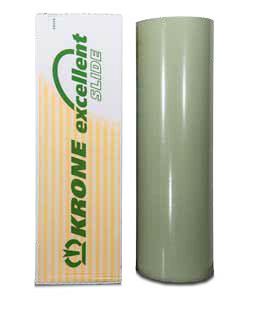 The Krone excellent slide high end silage film provides the best possible silage results and highest forage quality. The 5 layer excellent slide silage films deliver optimum performance on all bale wrappers as well as round and square silage balers. Enormous resistance to tearing and puncture. Excellent tact characteristics in all temperatures. 5 layer film technology provides maximum strengths. Available in 500mm and 750mm. 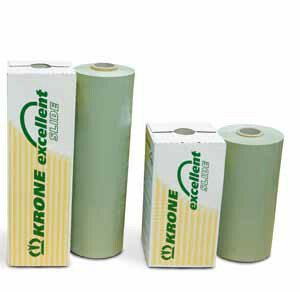 Krone offers a range of twines that have been developed for all crop conditions including heavy bales and difficult crop conditions. Their high resistance to tearing and equally high knot strength is the ideal twine for big balers that provide extremely high baling pressures. Available in excellent multiBale, HPD, square and round baler twines. 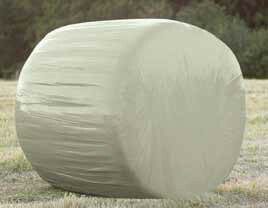 Superior quality twine ensures every bale is tightly and effectively tied. Round and small square baler twines available.